A Holiday masterpiece! 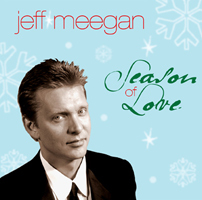 Season of Love brings the season to life with new songs destine to become your favorites. Sugared with Jazz, smooth jazz and Pop each song leaves you wanting to hear it over and over. Hear why the Boston globe calls it a “refreshing treat that Swings with holiday mirth and reflection”.